All MPI machines are equipped with Smart System Process Controls providing state-of-the-art process control in a user-friendly environment. 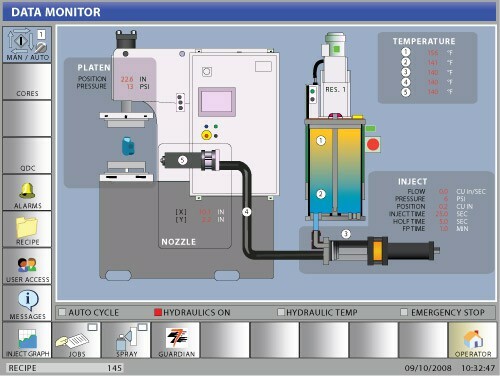 Our second-generation Windows-based injection control software has intuitive touch screen displays and eliminates the possibility of making an out-of-tolerance pattern. Smart System Process Controls consistently monitor and control all variables in real time against your pre-established baselines. 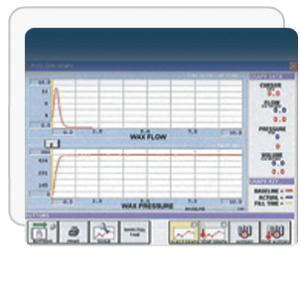 That includes monitoring for injection temperature, injection flow, injection pressure, injection time and viscosity… resulting in patterns that are consistent and are of the highest quality. No one else even comes close. Smart System Process Controls Interface….unmatched process control, anywhere, anytime. 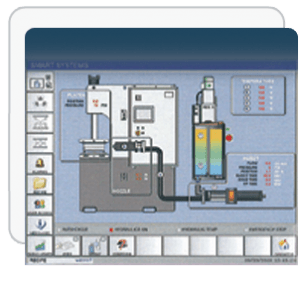 Smart System Process Controls user-friendly technology and second-generation injection controls actually eliminates the possibility of making an “out of tolerance” pattern. MPI consistently produces the best injection patterns setting the standard for the Investment Casting Industry … with unmatched repeatability in every production run. MPI’s remote access technology enables MPI Service to support your equipment expeditiously, saving you money and reducing your down time. 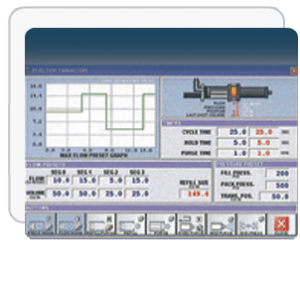 Smart System Process Control technology offers the most accurate process control of injection temperature and other key process inputs in the industry. 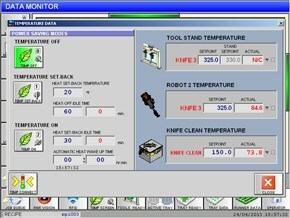 12” Touch Screen Operator Interface running in a Windows Environment. 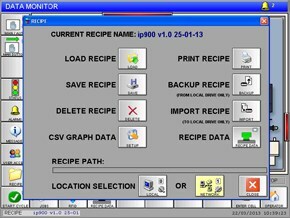 Easy to use graphical interface. Real Time Injection Graph. Displays real time plot of the injection data versus time. Records actual injection temperature at the nozzle tip, injection flow and injection pressure. Stores base line injection graphs for process monitoring and alarming. 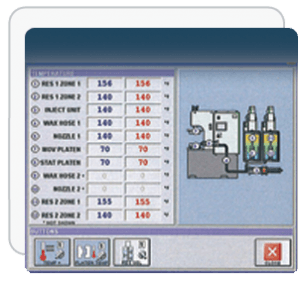 Process Control Limit Alarms – Notifies and or prevents machine operation anytime the process is outside of its control limits. Alphanumeric Injection Programs (Recipes) can be stored locally at the machine or on a network drive allowing for virtually an unlimited number of programs to be stored. 10 Level User Access Security – Limits access to the machine parameters based on the ability of each operator. Machine Diagnostics – Easy diagnostics via messages and alarms. View the entire machine I/O from the operator interface. Network Ready – Allows saving of Injection Programs (Recipes) to a Local Area Network. 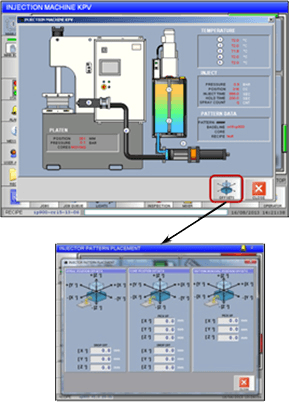 All operator interface and injection parameters are one touch away. Real-time graphical representation of the injection sequence. Alarm notification if “out of tolerance” conditions occur. Current and historical alarms automatically stored. Changes to injection program parameters are entered on OIT screen. available: single, time- based, and volume based. All injection parameters are saved to “Recipe” file. Graphical display of platen pressure and positions. Real- time injection graph generated for every injection. Real time graphical feedback of injection flow, pressure and temperature at the nozzle tip. Monitors the process by comparing each injection to a stored baseline injection graph. Accurate process control decisions based on real-time feedback. All temperature parameters are saved to the “Recipe” file. One touch display of all nozzle positions parameters. Graphical display of nozzle positions. All MPI machines are equipped with Smart System Process Controls, providing state-of-the-art process control in a user-friendly environment. 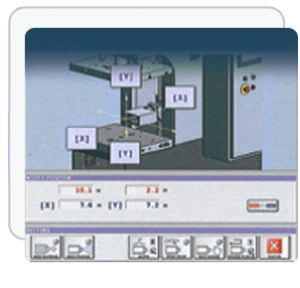 The same user friendly controls operators have come to expect and are already comfortable with on the injection machines has been integrated into the Automated Cells. Smart System Process Controls consistently monitor and control all operations within the cell. 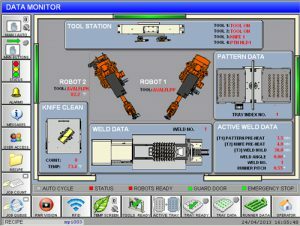 That includes monitoring of the injection, pattern trimming, setting, loading, inspection, robot positions, tool changes, etc. A key feature is the controls allow the operator to setup and operate the machine without requiring the robot teach pendant. The operator can optimize robot positions from the OIT. Operator can recover and restart the cell from any point in the cycle (robot home routines). The controls notify the operator what is required to start/restart the cell. 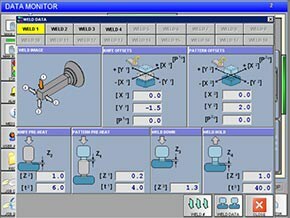 Injection Pattern Placement Window enables the pattern pick and placement positions to be optimized without the use of the robot teach pendant. All MPI machines are equipped with Smart System Process Controls, providing state-of-the-art process control in a user-friendly environment. 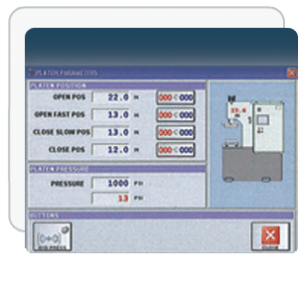 The same user friendly controls operators have become to expect and are already comfortable with on the injection machines has been integrated into the Automated Cells.